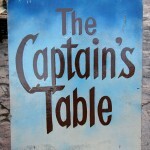 The Captain’s Table is open. 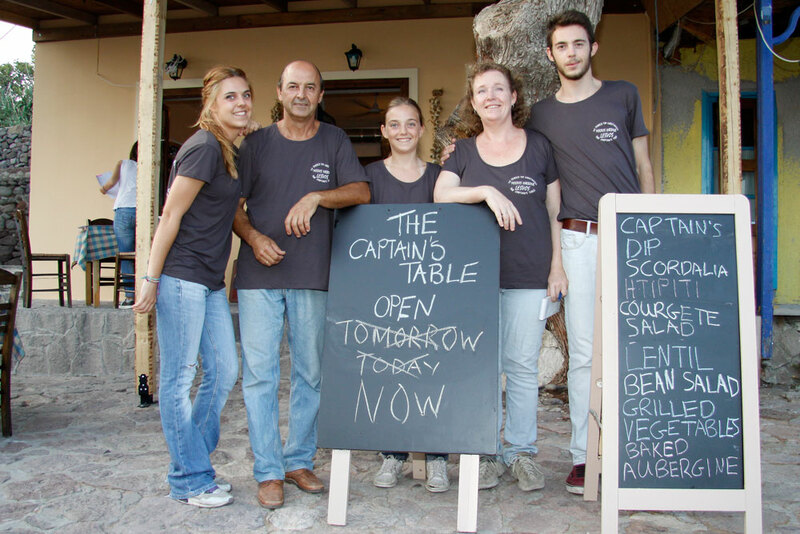 After an explosion and fire destroyed the Captain’s Table in Molyvos harbour on Tuesday 13 May, nobody believed that the restaurant could possibly re-open this summer. Nobody except Melinda, Theo and the family that is. 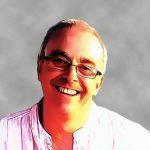 Today is Thursday 6 August and all the hard work has paid off. 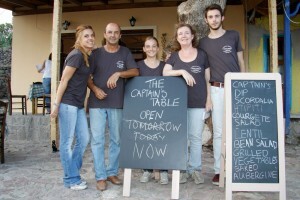 The Captain’s Table is open! the rebuild could start, you realise just how much hard work has gone into today’s opening. 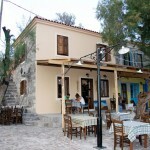 The building is new, the kitchen is new, the tables and chairs were rescued from the debris of the explosion. 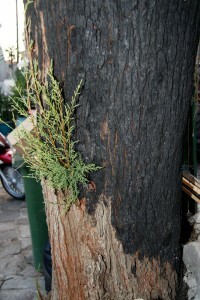 Even the badly burnt tree next to the restaurant is making an effort and today has new green shoots to help celebrate the re-opening. The old sign survived the fire. Melinda back taking her first order. 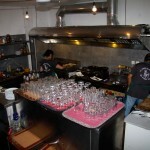 New kitchen ready to go. The new building – looking good. By Robin on 7th August 2014. 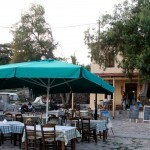 This entry was posted in News and tagged Lesvos, Molyvos Harbour, The Captain's Table by Robin. Bookmark the permalink.